Today I clicked in this link in TeX StackExchange http://ctan.org/pkg/svg and I got this message (screenshot below). 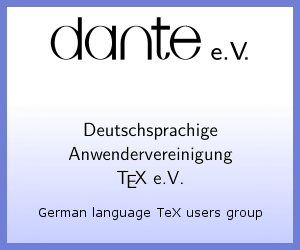 In particular, what does it mean that "Latex Productions International has acquired the world wide exclusive rights from D.F.Knuth" !? 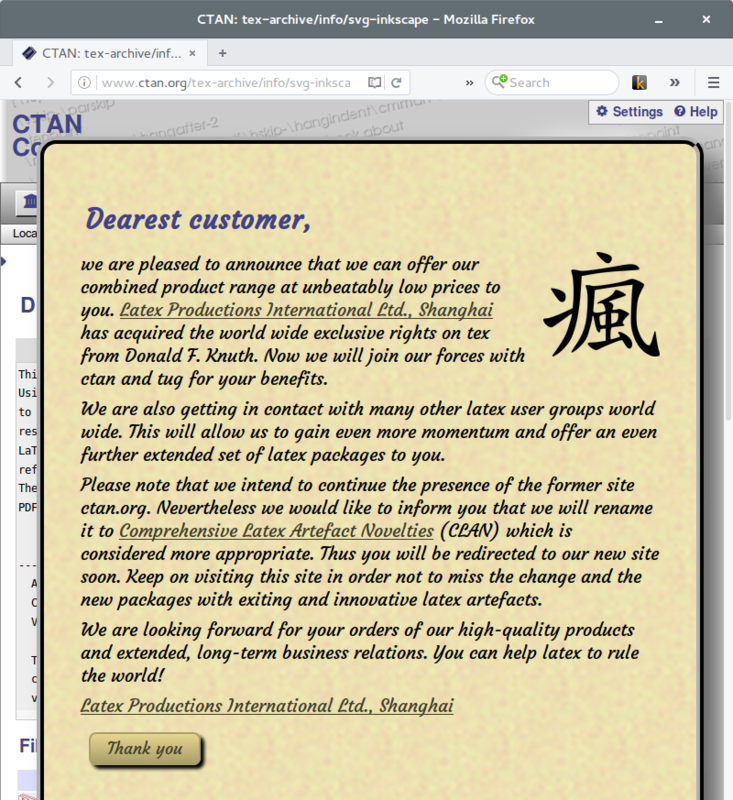 Obviously ctan.org changed hands or something, what happened to ctan.org? what would be a good link to use for TeX packages? It's currently Friday, April 1 in Europe. Happy April Fools' Day! Our webmaster Gerd Neugebauer invented this joke. He did a great job! The Chinese character 疯 actually means "crazy", "mad" or "insane". It caught me, I was livid and afraid to click onto anything, restarted all the usual things a couple of times. Good joke and nice to be caught out on April Fools! :) I got caught out by the 'Apple buys iFixit' joke a couple of years ago. Not the answer you're looking for? Browse other questions tagged packages fun ctan or ask your own question. What is this “Comprehensive LaTeX Artifact Novelty” thing? MikTeX and TeXStudio portables both unpacked to usb flash drive. Now What? Are there any Tablet (Android/iOS/Windows) Apps for ctan.org, tug.org and texdoc.net? Where can I get datetime2.sty or what is CTAN? amsmath is now latex-amsmath: what does this mean for me?